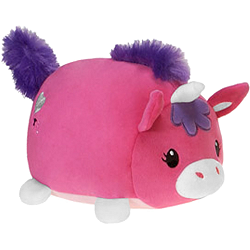 We're excited to introduce you to Celeste, this super cuddly, majorly adorable Lil' Huggy plush unicorn. 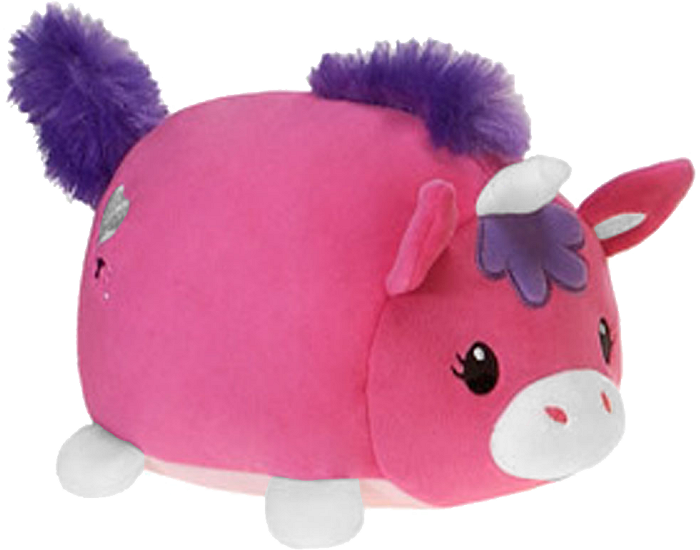 With a squishy body that begs to be hugged, this unicorn stuffed animal will be an instant best friend. With incredibly soft hot pink fur, white horn and feet, fluffy purple mane and tail, and light pink tummy, this cheerful plush unicorn has an ever-smiling face with embroidered details and is ready for hours of imaginative adventure.